Have you ever suffered a feeling so strong it became difficult for you to think or to focus? An experience in hospice can often leave you feeling that way. There are many complex and new emotions that can arise during both long and short-term care, and even more when it comes to bereavement. For the patients themselves, the feeling that they’ve lost all control of their lives can leave them reeling. Talking about such difficult and nuanced emotions is challenging. Between guilt, shame, sadness, and frustration, finding a place to put all of your feelings is like finding a needle in a haystack. That’s where journaling comes in. Journaling has been a recommended practice for many years as a way to cope with mental health problems like anxiety and depression. Writing thoughts out onto paper enables a release of the emotions that have been nagging at you, without need for restraint or brevity. The benefits of journaling are not just a placebo effect, either. Scientific research has been conducted that supports the practice and proves the associated benefits are numerous and varied, reaching outside the realm of mental health and into the physical. Experiencing trauma, loss, or hardship can leave our brains feeling crowded and tangled up in itself. By sitting down with a pen and some paper, you open a channel in which your emotions can be released through. This type of journaling is best done without editing or too much thought. The whole point is to just start writing and let whatever comes out do so freely. In the midst of worry or intense emotion, thinking clearly and logically often feels absolutely impossible. Journaling may help you solve problems more effectively since it approaches an issue from a whole different angle, literally. We often use the left-side of our brains, which are more analytical, to solve problems, but occasionally we need to implement more creative solutions. Journaling taps into the right-side of the brain, making creative problem solving easier to navigate. Journaling not only helps us heal, it also can work to strengthen our relationships with others. When we are too caught up in our own troubles and woes, understanding someone else’s perspective or experience seems like the least of our concerns. Where there is trauma and bereavement, there is usually conflict. 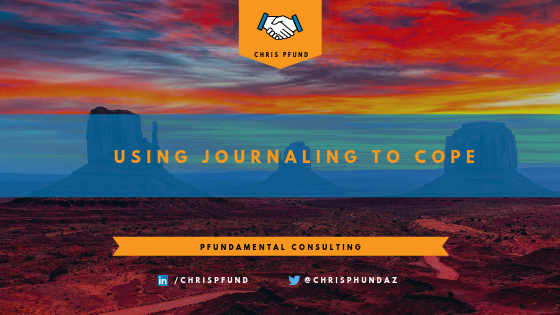 Journaling about disagreements or conflicts can help you to come to terms with your anger and frustration, as well as look at the situation from another person’s perspective, rather than just letting the tension rise. Beginning your practice of journaling is as easy as sitting down with a notebook and getting started. However, many experts recommend that you set aside time in your day to mindfully get into your writing, instead of just squeezing it in as an afterthought. Try setting aside 20 – 30 minutes in the morning after waking up or at night before you go to bed so that other engagements don’t get in the way. This should be time for you. Journaling alone and away from other people is also highly suggested. Successful journaling relies in your ability to follow a train of thought and interruptions may derail whatever progress you’re making. If you’re having a hard time figuring out where to start, it can be helpful to pick one emotion or event and begin there. Journaling is a highly-personal experience, much like writing in your childhood diary, and it’s important to remember that you shouldn’t hold yourself back. There is no right or wrong way to journal as long as it’s helping you feel better. You don’t have to go through hard times feeling like a prisoner of your own mind. Free yourself by putting the tip of a pen to paper and begin healing. This post was originally published on ChrisPfund.com on April 17, 2019. Chris Pfund is the founder of Arizona-based Phundamental Consulting, an innovative and progressive healthcare consulting company. With over a decade of experience and as the former Chief Administrative Manager at WD Management LLC, Chris has built up an impressive strength in multi-state business startups, business and financial operations, investor relations, coaching and change management, and strategic human resource planning and optimization. Over the course of 10 years, Chris Pfund has worn many hats and headed many departments, including hospice billing, human resources, and healthcare business operations. Now, venturing out on his own, Chris is armed with the experience, skills, and empathy needed to help business owners create a thriving and compassionate healthcare company. His first piece of advice for you? Stop waiting until tomorrow to start the business you've always dreamed of. When is Grief Counselling Appropriate?